Preparation Methods & Dosage : Oak bark can be brewed into a strong, astringent decoction that can be taken as a tea, or used in baths, douches and skin washes. 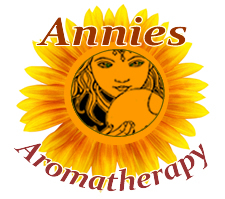 Use it in a cold compress for burns and cuts, and incorporate oak bark extracts and tinctures into ointments. 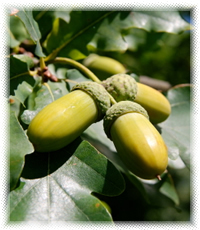 Oak bark powder is used in tooth and gum powders. 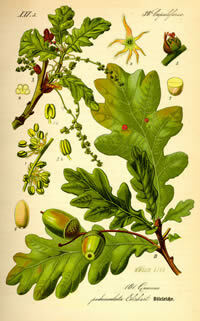 Oak Side Effects: Avoid taking oak bark at the same time as prescription meds.